The latest update to Kali Linux was released a few days ago. 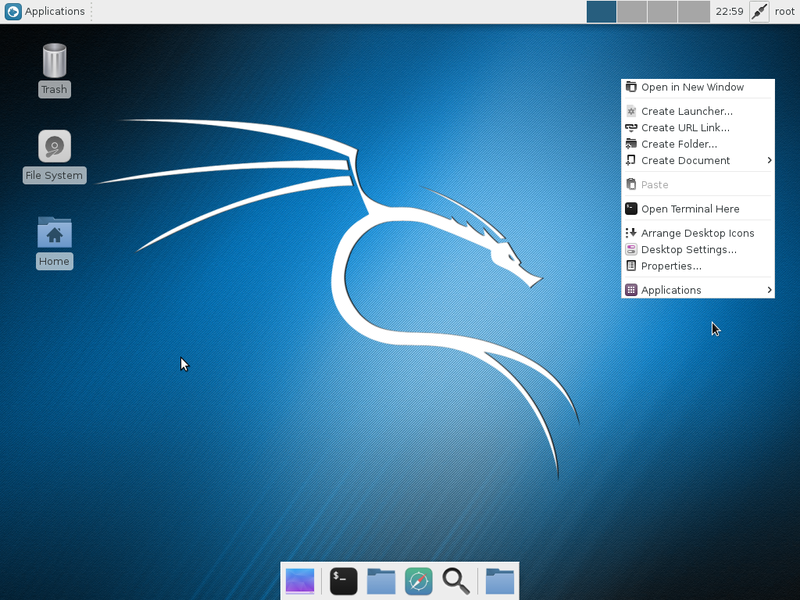 Kali Linux 1.0.7 review is a summary review of the main features of this latest upgrade to the security distribution from Offensive Security, a security and penetration training outfit based somewhere on this third rock from the Sun. 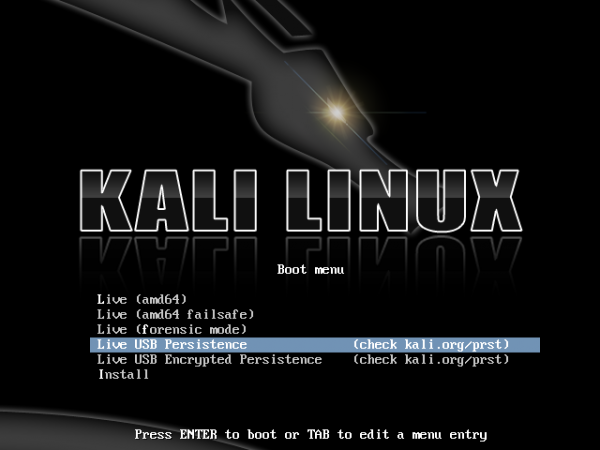 The main feature introduced in Kali Linux 1.0.7 is the ability to transfer the system to a USB stick with encrypted persistence. 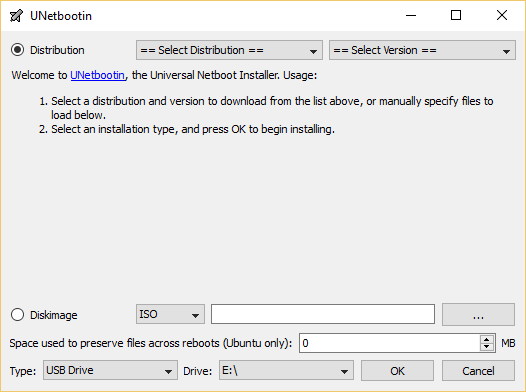 You can see the option in the boot menu shown in the image below. 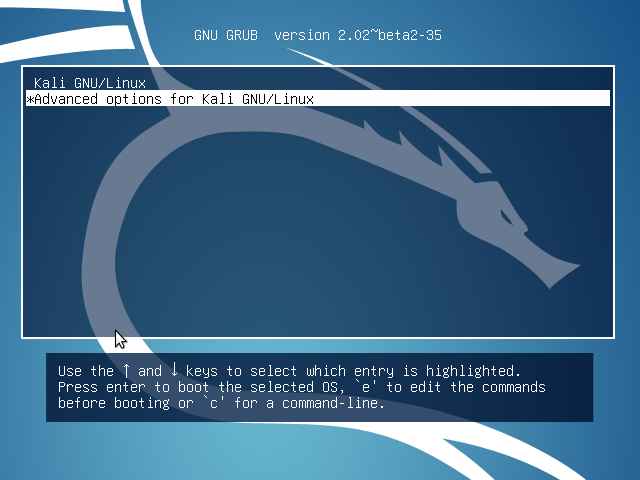 Kali Linux is based on Debian and uses its parent distribution’s graphical installer. 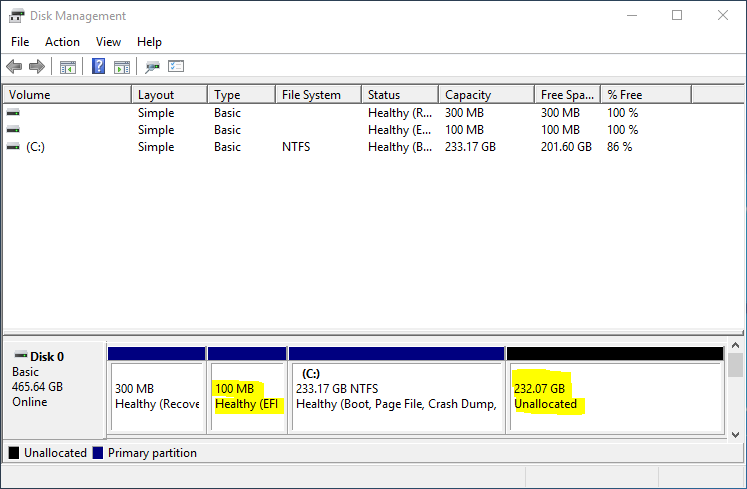 So aside from being able to load it on a USB stick with encrypted persistence, you can also install it to a standard hard disk drive (HDD) or SSD with full disk encryption configured. Something that you’ll likely encounter while testing the live desktop of Kali Linux is the screen lock activating. You’ll have to enter the root password to log in again. That root password is toor. 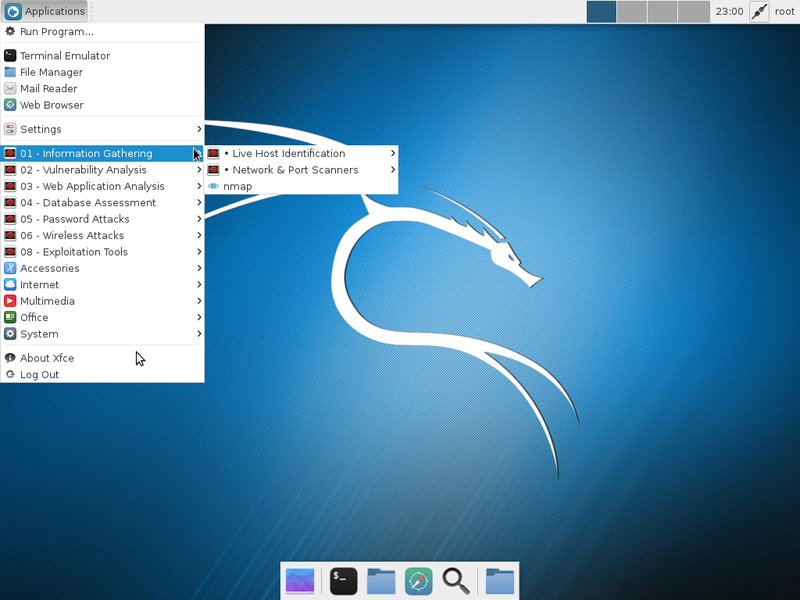 This is a screenshot of the Kali Linux 1.0.7 desktop. 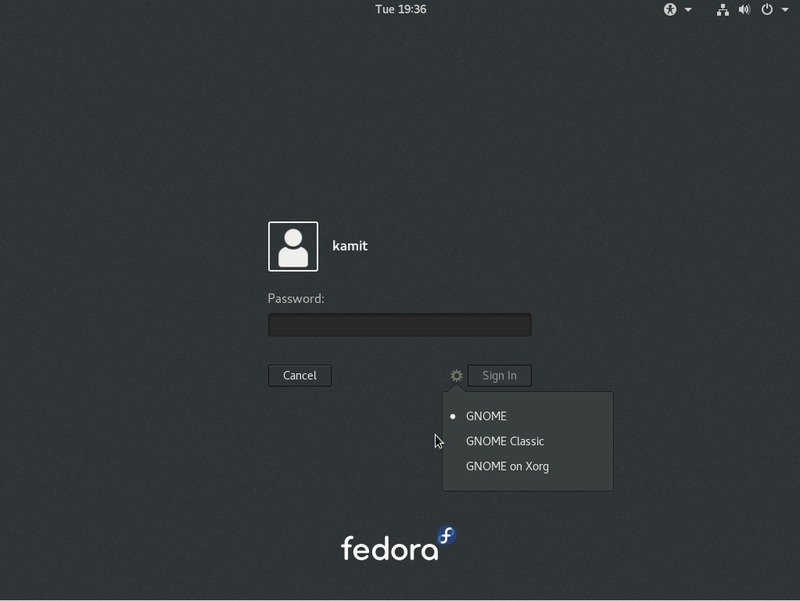 It uses a customized version of the GNOME 3 desktop. 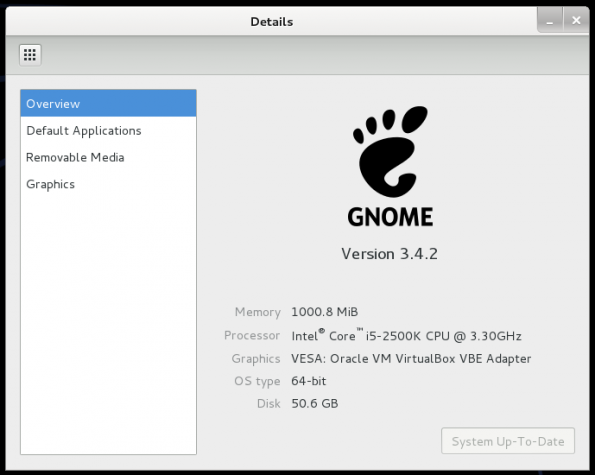 And the version of the GNOME 3 that powers it is GNOME 3.4.2. 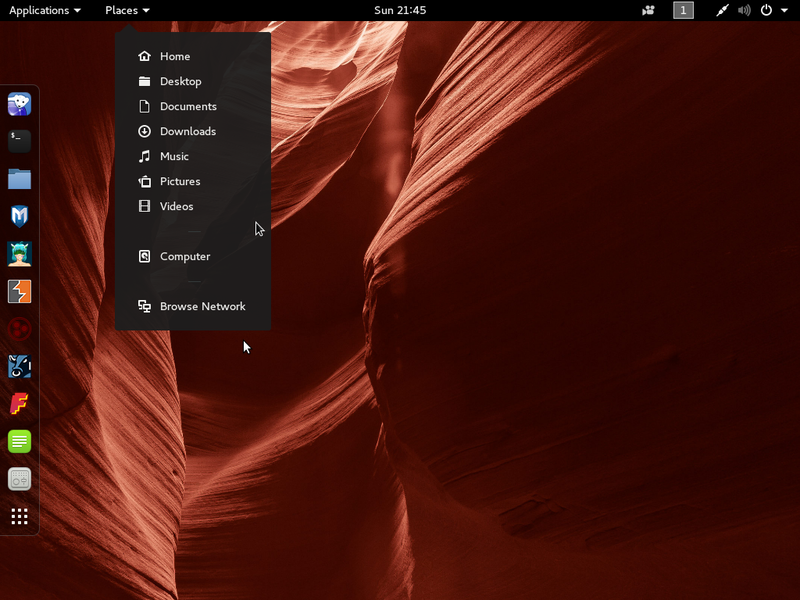 Certainly not the latest and greatest version of the GNOME desktop, which is not surprising considering that Kali Linux is based on Debian. 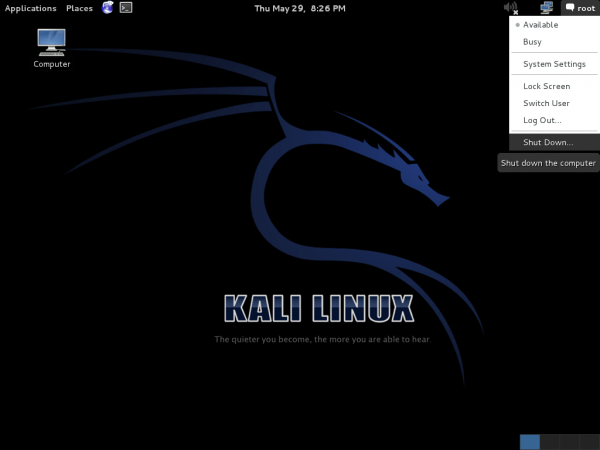 The main draw of Kali Linux are the security applications that come with it. These so-called Kali Tools can be found in the Kali Linux menu category. 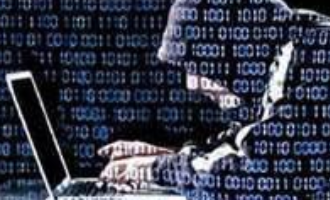 It is a comprehensive collection of the best security and hacking applications available to the Free Software community. These applications are shown clearly in the screenshots available here. Some of the applications carry usage warnings, like the one of W3af shown in this screenshot. Like most niche distributions, converting Kali Linux 1.0.7 for use as a standard desktop distribution is trivial. 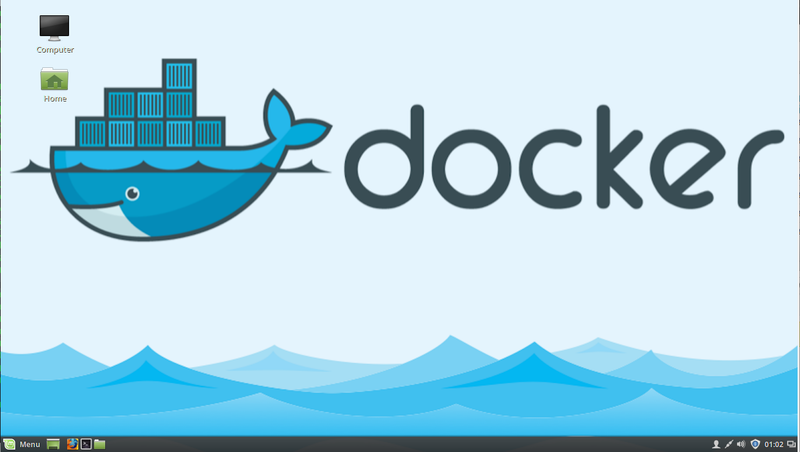 Most of the standard desktop applications are already pre-installed. All you need, with respect to applications, is an Office suite, which is available in the repository. That Office suite is LibreOffice 4.1. 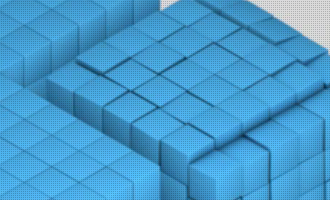 The graphical application manager available on Kali Linux 1.0.7 is the gpk-application. 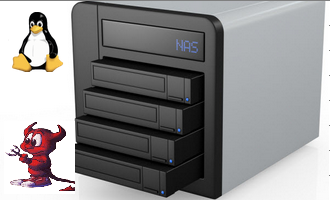 It is not the fanciest graphical package manager, but it gets the job done. Shown here is its main interface. 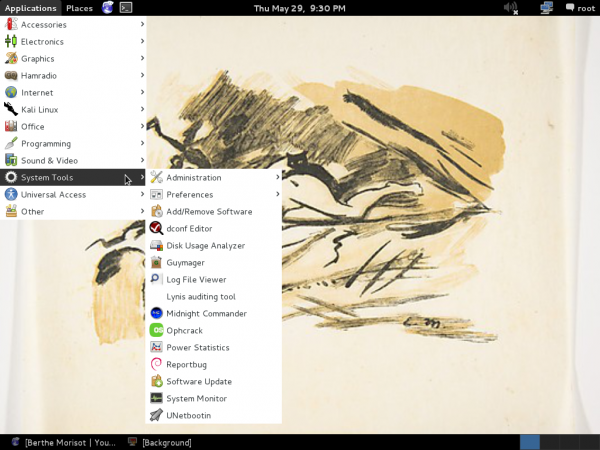 The following screenshots shows some of the standard desktop application pre-installed on the system. 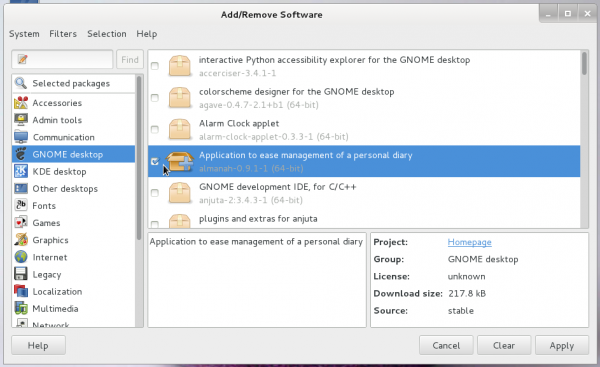 This one shows the installed IDE applications. Installed Internet applications. IceWeasel is the installed Web browser. It is a fork of Firefox. And the installed system management utilities. If you’ll like to test-drive Kali Linux 1.0.7 yourself, installation images are available for download here. 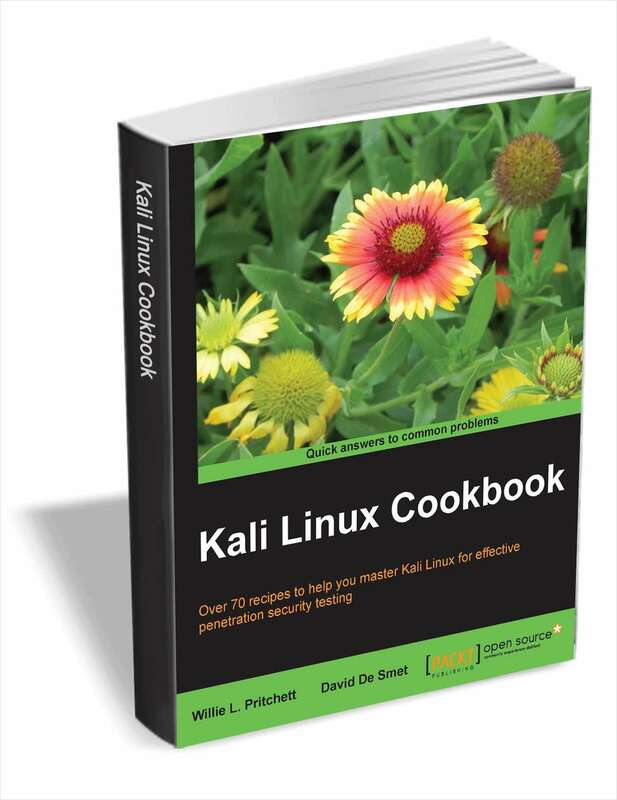 See How to install Software on Kali Linux.